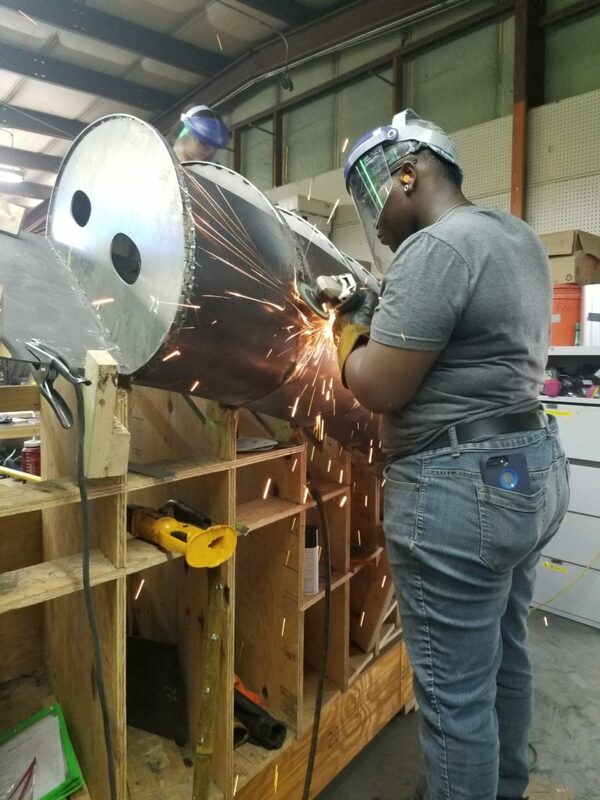 This past May, Welding & Metal Fabrication Senior Instructor Denise Bailey was approached with quite the opportunity: to fabricate a 45-foot, 18,000-pound sculpture. 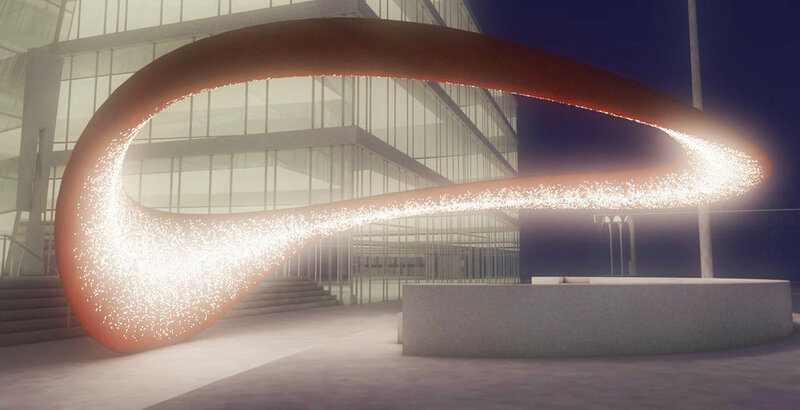 Designed by visual artist Tristan Al-Haddad of Atlanta, GA, the sculpture – titled Nimbus – was commissioned by the City of Minneapolis as an extension of the Nicollet Mall redesign. The job was once in a lifetime but would come with challenges. 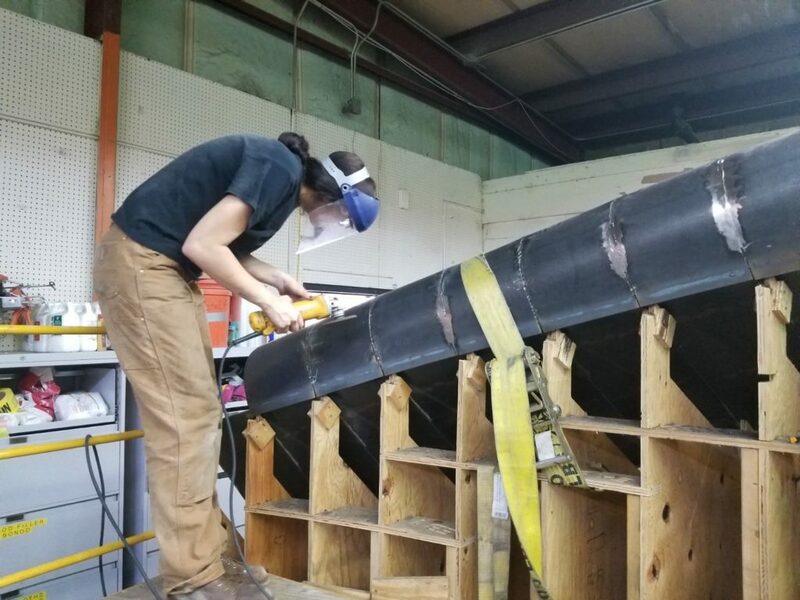 Due to a local Minneapolis welding shop’s difficulties with heat distortion, the sculpture would have to be fabricated near the designer at Formations Studios in Atlanta. And this would require an immense amount of travel and time commitment. But Bailey said it wasn’t long before she was sold. Fabricating the project alone, however, wouldn’t be realistic. 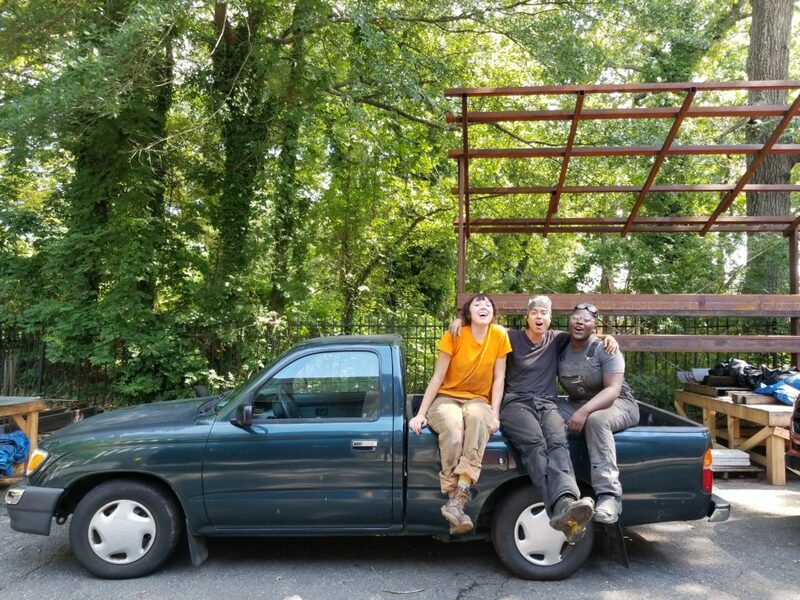 Bailey recruited Industrial Engineering Technology student Tiara Hill, ’18 Welding Technology alum Jane Thompson, and ’18 Welding Technology alum Madison Vail to join her after seeing the three of them thrive during a previous art installation. Jane Thompson grinding the weld so it is flush to the surface. The project required all visible welds to be ground. Thompson was immediately on board. So on June 11 the Dunwoody team boarded a plane to Atlanta and got to work…and have been busy ever since. Although worthwhile, the project hasn’t been easy. Tiara Hill putting finishing detail work into the piece. The average work week involved 50-60 hours at temperatures of 100 degrees in the shop,” Bailey said. But the pros have definitely outweighed the cons for Thompson. Thompson finished up her portion of the work at the end of July. Since then, Bailey has spent her weekends working in Atlanta. The next steps of the project include finishing the outside skin of the structure and fabricating the structural supports. 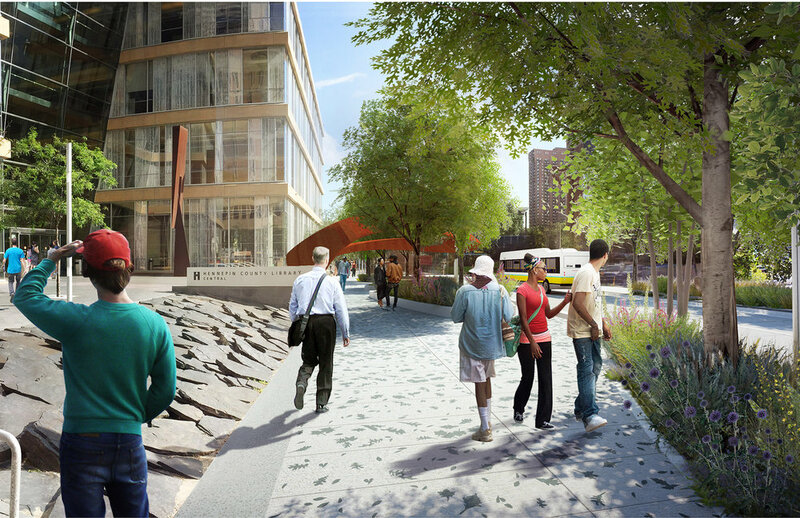 The sculpture will be installed this fall. Bailey has plans for her current second semester class to observe and possibly assist in the process.